I love these shrubs! 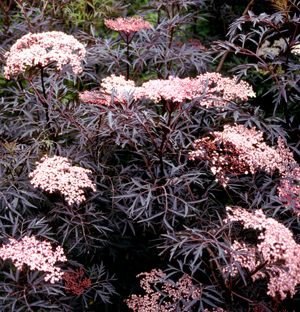 As beautiful as Japanese Maples but so much easier to grow, Black Beauty and Black Lace’s foliage are a dramatic deep purple – Black Lace’s leaves are finely cut. 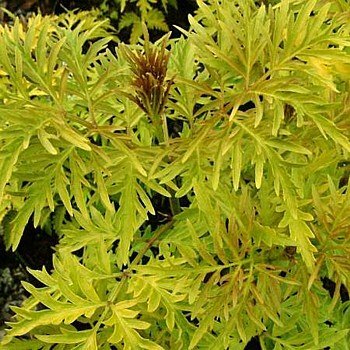 Sutherland Gold also has finely cut leaves but in a bright gold. All have large flat clusters of pink flowers in early summer followed by edible black berries which can be used for jams and wine or just left on the shrubs for the birds to enjoy. Rapid growers, they will reach 6-8 feet tall and wide, thrive in full sun and are very cold hardy. 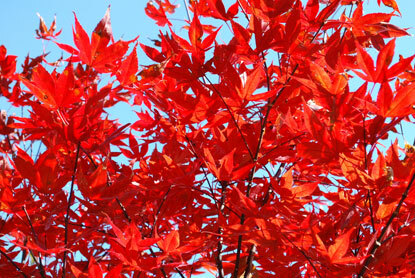 If you’ve always wanted to have Japanese Maples but don’t have the shade and protection they need in our Northern Nevada climate, give these great new shrubs a try. 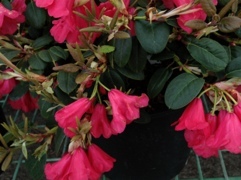 Beautiful rhododendrons have come in! 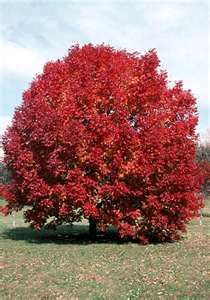 We’ve just received a new shipment of trees and shrubs, including Red Pointe Maple, Autumn Purple Ash and flowering crabapple, full of fall color for your autumn garden. Visit us soon!